Belief. It's powerful and it's divisive. Powerful - because it can change your whole outlook, your whole worldview, even your life. Divisive - because it can alienate you from others or make you a target. It can separate families, it can put you in prison and it can make you lose your life. Last month, I saw something on Facebook posted by one of my Estonian connections. It had other Estonians commenting, liking, suggesting the fact they'd like to move there. The post? It was from Iceland, supposedly reporting the 'fact' that 0% of under 25s believe that the world was created by God. Estonians, once more, revelling in the idea that God doesn't exist. But it got me thinking...because of my education, not despite it, I know that just because someone says or thinks something, doesn't mean it is. Education has taught me that we don't know all the answers! So when the leading minds of the world taught that the world was flat, the Earth didn't change shape to go along with this 'fact.' When mankind assumed everything orbited the Earth, the solar system carried on as it always had, and always will. When people say to God "you don't exist" He must just look upon them like some father marvelling at the rubbish coming out of his child's mouth and reply: "I do, and I believe in you, even if right now, you don't believe in me." Since when has someone denying something ever actually had any effect on the reality of, or existence of, the object of that denial? Education, and logic, has taught me to think like this...and when I apply that to faith (everyone operates in faith, as I'll come to in a moment, regardless of what you believe) it only strengthens that conviction, not destroys it. It's illogical to throw out the claims of Jesus, the existence of God, wholesale. Totally illogical. Firstly, there is the undeniable historical person of Jesus, undisputed by Christian and non Christian historians. This guy walked the earth - fact. In the Bible we have evidence of what this man said. The Bible holds up to all textual analysis, far more so than other great works which are also undisputed. The time we have the earliest copies from, the quantity of these copies, the time between events, no other historical document has as much evidence going for it. We therefore know, without any doubt, that what we have as the modern day Bible is as close to the original as we can get - far closer to any other text of its age. What Jesus said in the book provides another issue - to quote C S Lewis, Jesus could only have been Lord, Liar or Lunatic based on his own words. No other title is justified. He wasn't 'just a good person or just a good moral teacher' though he was also these things. Central to his life is actually his death and then what followed. If Jesus didn't come back from the dead as he said he would, then everything that went before becomes invalid, we need not accept his words. But if he did...! Lord, Liar or Lunatic. Education and applied logic leave us with no vague, confusing situation. 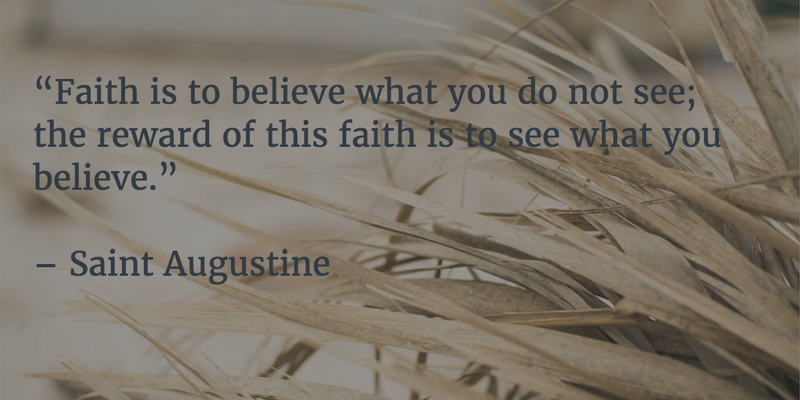 Back to belief - we all believe in something, even if its nothing. Picture a room if you will. There is a big wooden door that is standing closed, so that we can't see into the room. Inside that room, I believe God himself dwells. It's the man Jesus Christ. I'm standing next to you, outside the room. Let's pretend there is no other supporting evidence - it's just you and me, outside a door. You, as an atheist, don't believe there is a God. You don't believe Jesus is in that room - you believe the room is empty. You see, it's not enough to say that you don't believe in God, because you are also therefore saying that you believe there is no God. We all believe something. Some in a person, others in a void. And here is the thing - I'm happy to know you if you have no belief. We can be friends, I can share the things I know and feel, if you like, but I don't need to. But want I can't accept is the statement that belief equals fairy tales and life without God is because of good education and logic. I'm a very logical person and I see this completely simply. There is no confusion at all. Sadly, it's often other people who choose to distance themselves from this kind of open, relational conversation. I'm here for anyone who really wants to talk, to walk through this all, even if it takes us years of talking to get there. It's said that soon schools (in England) might not teach about what happened to the Jews during the war because it offends muslims, who deny the holocaust actually took place. People deny the moon landings too. Does that actually have any affect on the truth of the events? No, of course not. Education has taught me that, and that's not about to change.